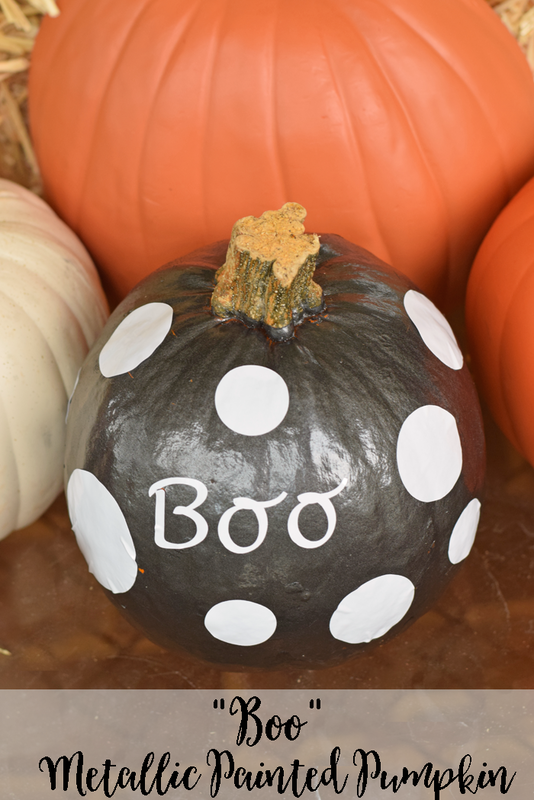 Painted pumpkins are a fun and bright way to decorate for fall, and this Boo Metallic Pumpkin is a trendy take on the spray painted pumpkin. This post may contain affiliate links. Have you decorated your front porch yet for fall? Our days still have been so warm here that I can’t get into the fall decorating. My kids, though, keep me on my toes. They have been begging for “punkins,” so I finally gave in to the little ones. I have always wanted to try my hand at painting a pumpkin, and I actually did one this year! When my husband heard that I was going to spray paint a pumpkin, he cringed. He has always hated it when I spray paint. I’ve been known to underestimate my ground cover, and we may or may not have a large patch of pink gravel in the driveaway. One year, we had blue grass for a while. Oops. I surprised him with no trace of my spray painting endeavors HomeRight sent me one of their awesome Small Spray Shelters. This thing is amazing! If you spray paint often and your grass, driveaway, and garage takes the brunt of it, check them out. 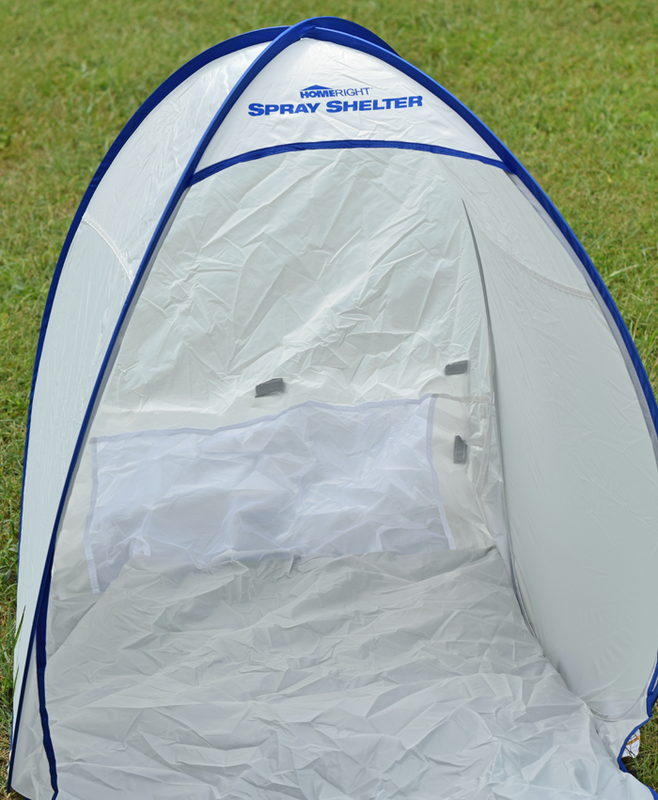 It is collapsible and takes up minimal space when stored, but it opens up to make a protected area for spray painting. 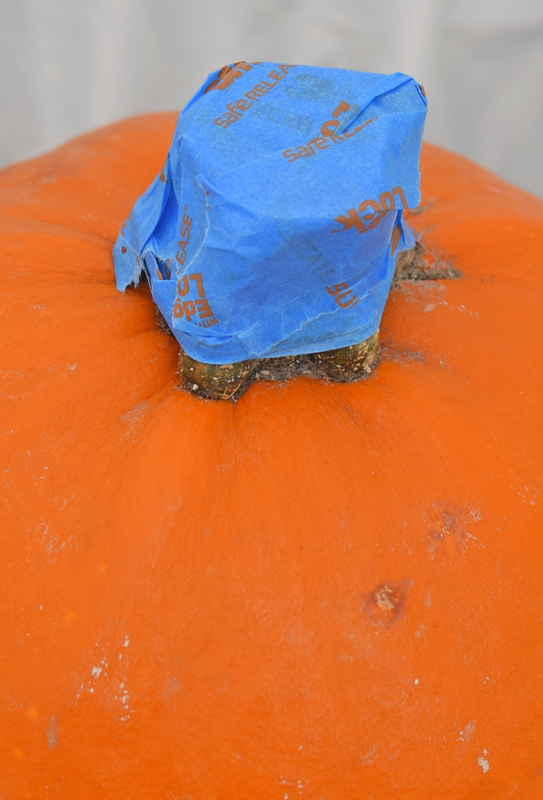 I then wrapped the stem of my pumpkin in painter’s tape. I spray painted the pumpkin with Metallic spray paint, and let it dry completely. Next, I decided to use my Cricut Explore Air to add a little character. 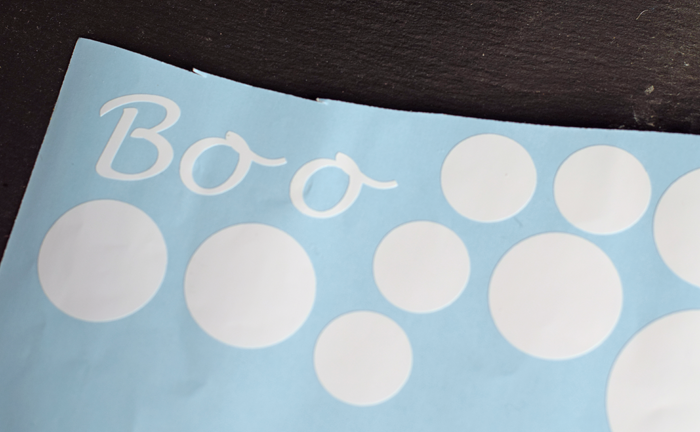 I created “boo” text and various size circles. The Cricut Explore cut them out for me on Cricut vinyl while I wasted time watching a video on Facebook. Oh, well. Here is my Cricut Design Space link to the project. I did use a font from my personal computer that is not available in the Cricut Design Space font selections. I like the pop of the metallic pumpkin against the traditional orange and white pumpkin colors. 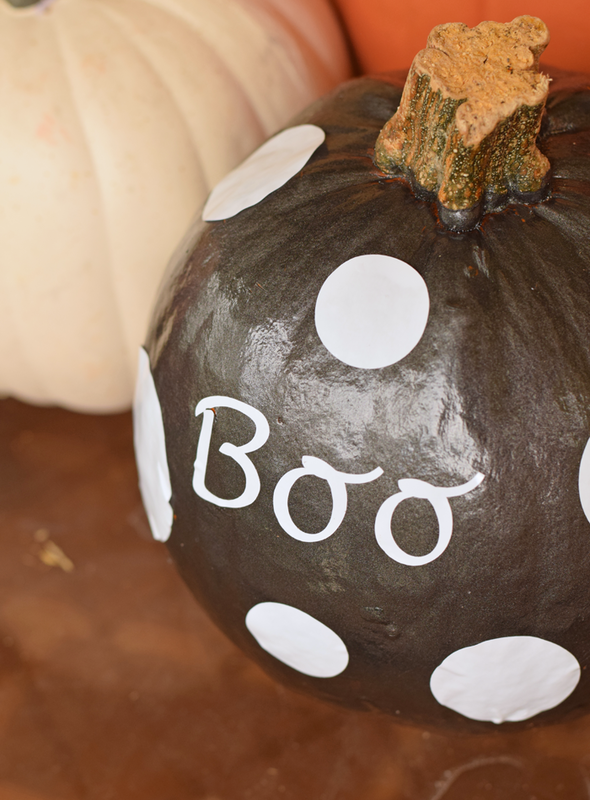 Do you like the different color pumpkin trend? This is so cute! I might have to totally steal this idea! I attempted to paint pumpkins this year but I forgot the step of wrapping the stem. I wish I had seen this before I started so I wouldn’t have messed up! Thank you for your tutorial! Awww so adorable!!!! I never considered a spray tent before! Seems neater! 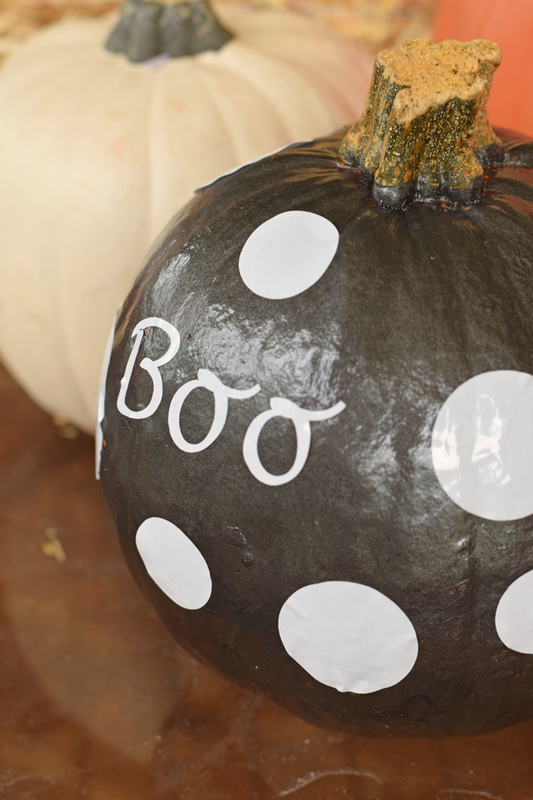 And these pumpkins will last much longer on the front porch than a carved jack-o-lantern – win! I love this pumpkin. 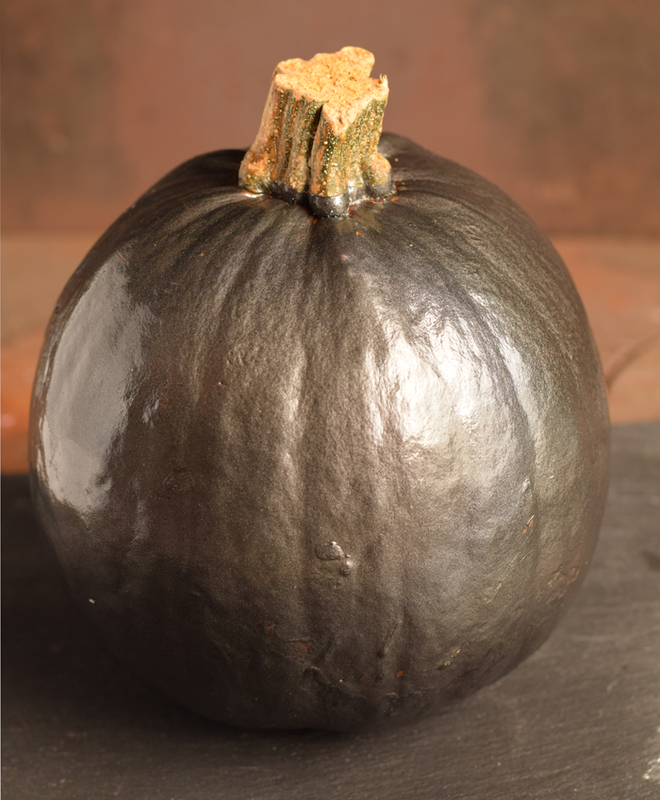 Very cute and playful yet sophisticated enough looking for a fancy front porch arrangement of pumpkins.